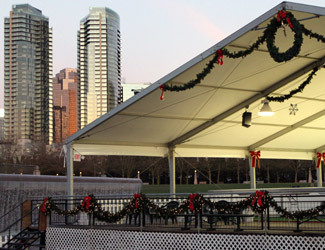 Be the first to step on the ice this holiday season as the ice skating rink returns to Bellevue Downtown Park! 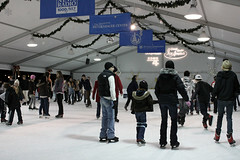 The Bellevue ice skating arena features the area's only outdoor ice skating rink. 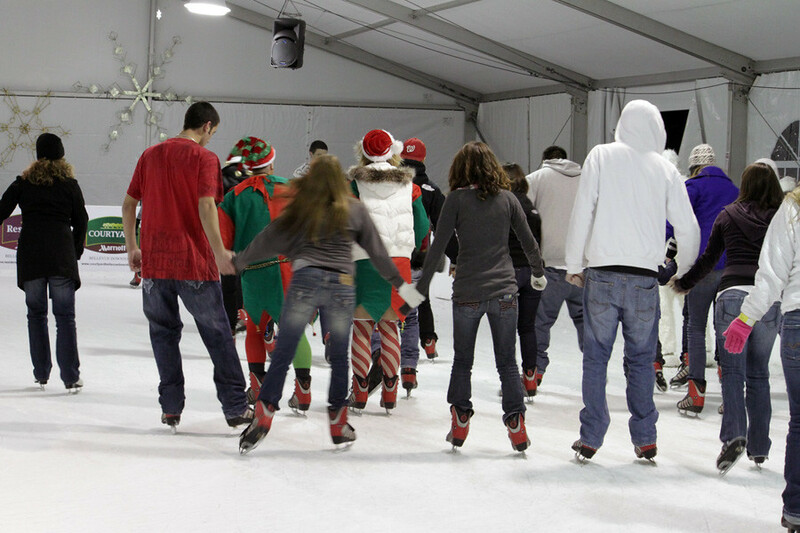 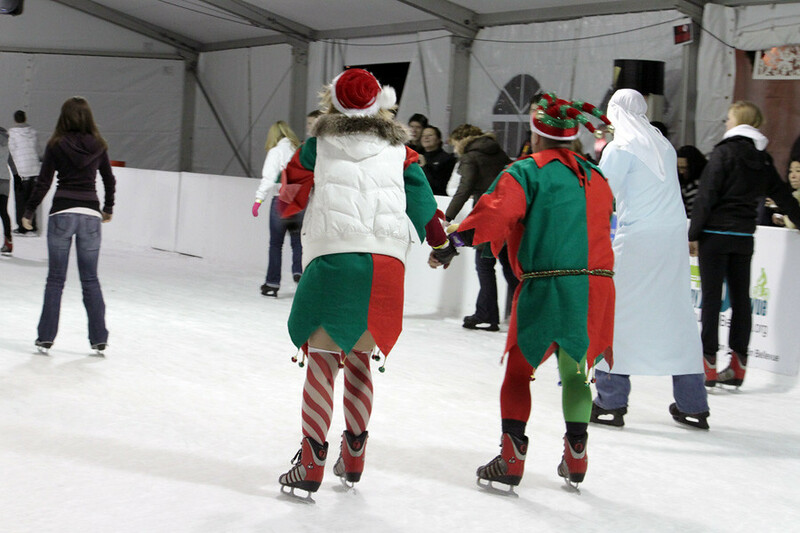 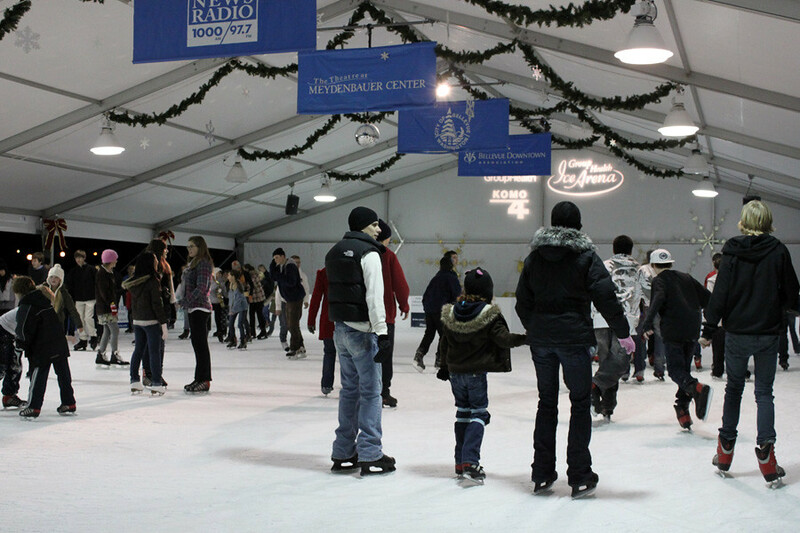 Throughout the holiday season, it will host "Learn How to Skate" nights, free skating lessons, family skating, private parties and other exciting holiday attractions for skaters and spectators alike. 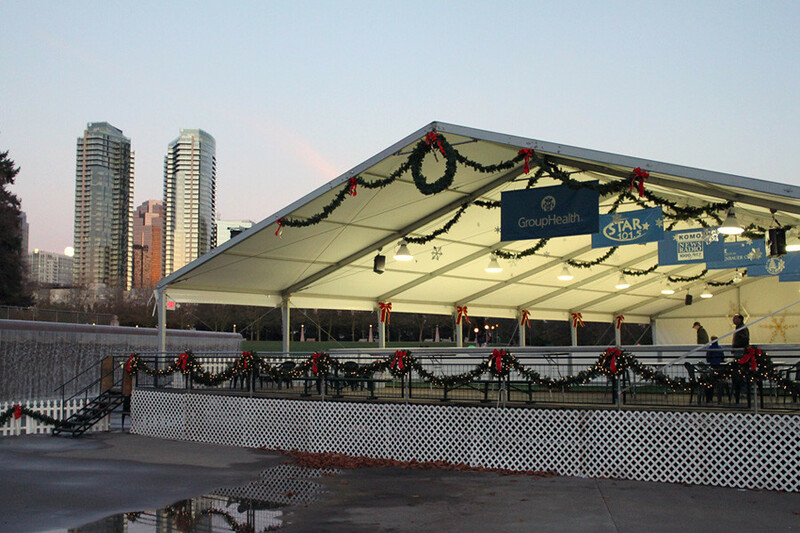 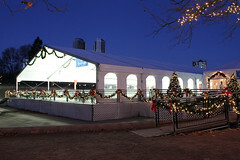 So bring your families, kids and friends and skate away under the winter sky in the area's only outdoor ice skating arena! $14 (includes $4 skate rental), $10 (includes $4 skate rental) for 8 yrs old and under. 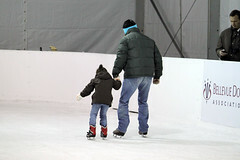 Children sizes range from a toddler 9 through 13. 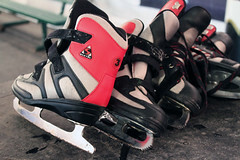 Adult sizes range from 1 through 14. Credit cards accepted. Food concessions available on-site. 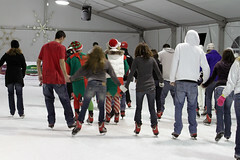 See complete ice skating hours and schedule. Learn to skate from the pros! Professional instructors will give skating lessons. 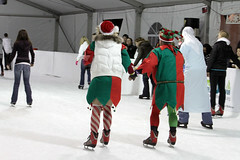 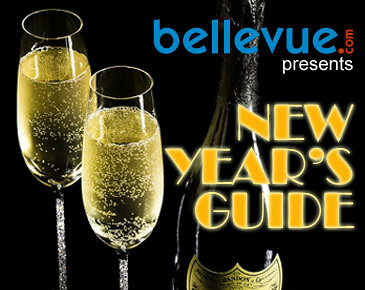 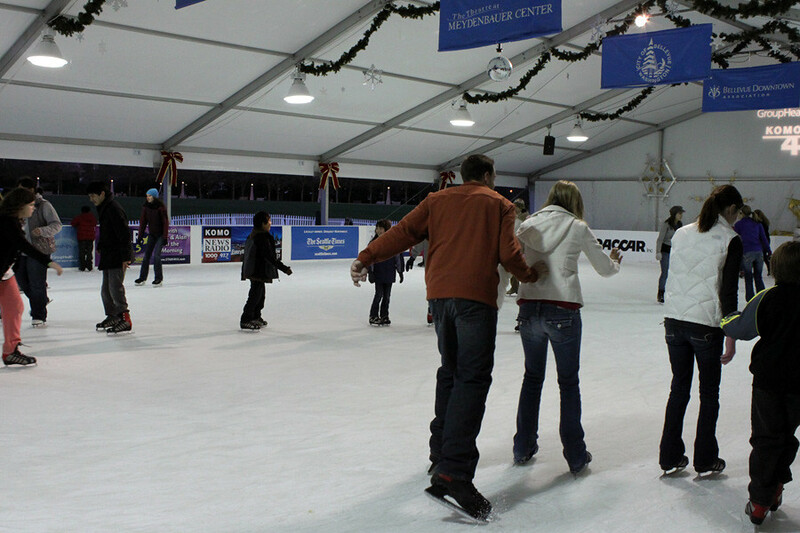 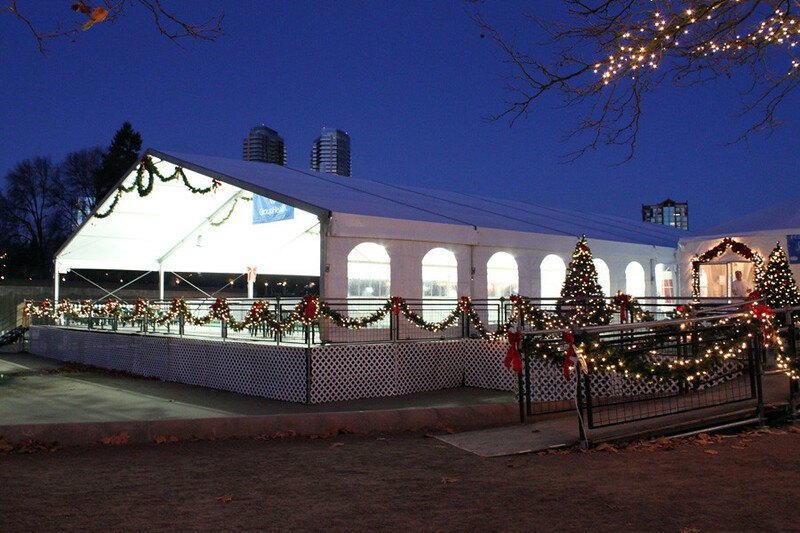 The Bellevue ice skating arena and special events are produced by the Bellevue Downtown Association.